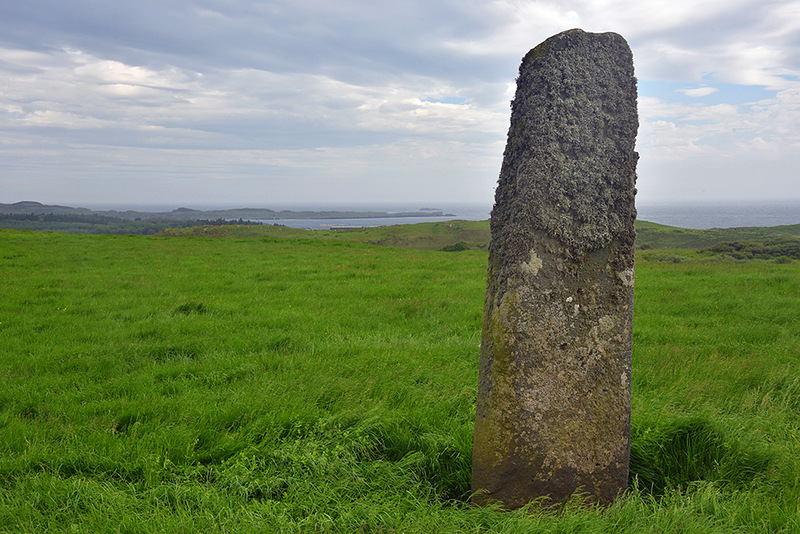 A lone standing stone in a field at Kilbride. Texa in the distance off the south coast of Islay. And if you look closely you can just make out the roofs of some of the Laphroaig warehouse on the shore (to the left of the stone). This entry was posted in Cloudy Weather, Distilleries, Landscape, New Post and tagged Islay, Kilbride, Laphroaig, Texa by Armin Grewe. Bookmark the permalink.